String Rainbow Flags & Banners | Out to Lunch! 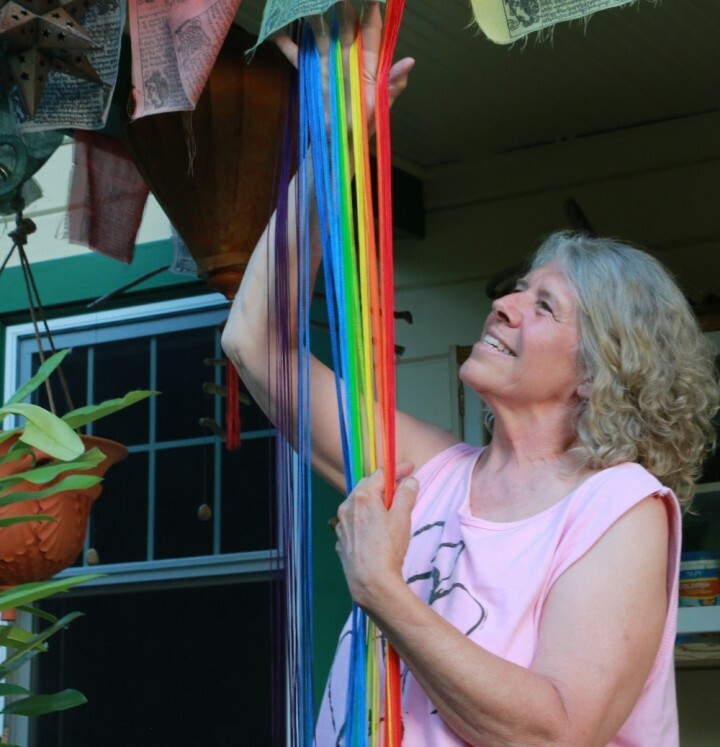 A sleepy town located in a rural setting outside Eugene, Oregon is where we create beautifully graceful Fresh-Picked Rainbows and Magical Healing Rainbows. Each Rainbow is 100% hand crafted. We use Rayon (a natural fiber), Procion dyes for the vibrant colors, high quality Douglas Fir with non-toxic linseed oil for the wooden mounts, and brass for the top rings. The Rayon is hand-dyed to guarantee that the vibrancy of color lasts many years. Each wooden mount and top ring is worked by hand from start to finish and quality is emphasized in each assembly process. We hope you love our rainbows as much as we love making them!